As internal and small Michigan moving specialists, you can count on us to provide you with cost-effective moving solutions. Whether you’re remodeling and need to move furniture to another room, clearing space for a special event, or need assistance integrating new pieces into your home, Professional Movers.com can help. As a stand-alone move or as one element of your overall move, you can count on Professional Movers.com to provide our same signature premium service within your home as when you are changing addresses. We can also assist you if you are in need of only moving a few items from one location to another. For instance, if you live in West Bloomfield, MI and you would like to move a dining room set to Ann Arbor, MI, we can provide you with a team of two movers to relocate the items at a very reasonable rate. Professional Movers.com expertise and complete range of moving services ensure that we can respond to the most challenging of circumstances and guarantee your satisfaction. Our small moves are based on our minimum of three hours. This includes two hours of moving labor and one hour transportation. The transportation charge covers the time to and from our warehouse. And no matter the size of your move, our move team will handle your items with white-glove service. A small move usually consists of moving furniture and moving other household items or moving boxes. Small moves may involve moving living room furniture, moving a dining room set, moving a bedroom set, moving a sofa or moving other large pieces. The typical small move usually consists of the relocation of 1- 20 pieces of furniture. Local Small Moves are priced according to time. Tell us how many rooms you’re moving and we’ll provide a flat hourly small move rate for any move up to 40 miles. With our local small move, you are able to move a few rooms of furniture and boxes without being charged for a full household move. Long-distance small moves are priced according to the weight of your small move. If you know the weight of what you are moving, great. If you don’t know the weight of your small move, simply tell us what items you’re moving and the dimensions. We’ll do the rest and provide a guaranteed small move quote based on the information you provide. When your small move is long distance, a full-load moving company charges you for a full truck- regardless of how small your move is. Professional Movers.com charges only for the room the items in your small move require. Because we specialize in small moves, we charge less for moving a small amount of items, and we provide an exact small move price quote including inside pickup and delivery. There are no surprises and no hidden charges for your small move. Experienced small move professionals will come to your home, storage facility or other location, carefully prepare your items for transport, and then bring them inside at delivery. Professional Movers.com also offers a small move freight service for items that are boxed or crated. Small move freight service usually costs less than our small moving service, but everything that is part of your small move MUST be boxed or crated. We provide limited liability coverage at no extra charge. We can accommodate your internal moving or small moving needs, 24 hours a day, 7 days a week with the most modern and updated equipment, and with the most elite of manpower in our industry. 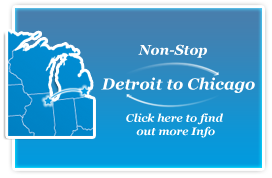 In need of internal or small Michigan moving services? Contact Professional Movers.com at 248-926-9999 and schedule an appointment to have one of our Certified Moving Consultants provide you with a FREE INTERNAL OR SMALL MOVING ESTIMATE!